Here is the seventh project in my series of new printables in my YW Values Now collection, a suite of Personal Progress Values-inspired printables that celebrate the Values and to encourage YW to incorporate them into their lives today. Today’s project is YW Values Now 8×10-inch Event Posters! 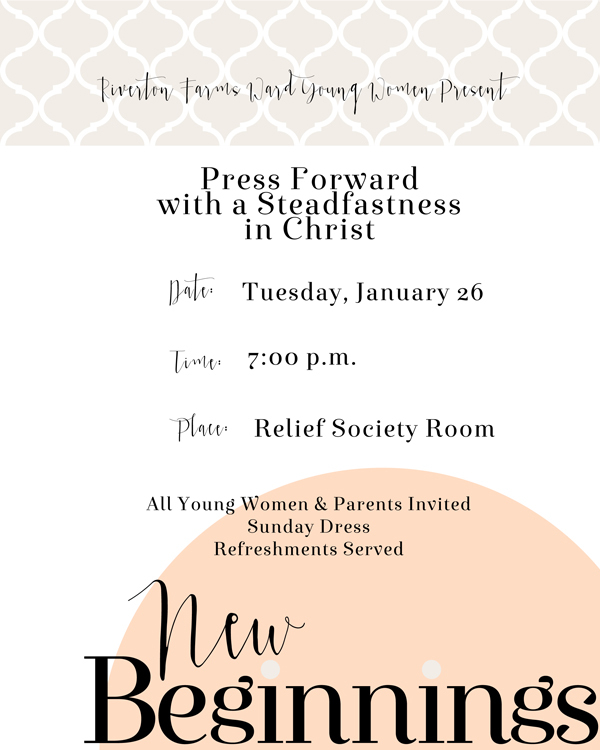 Use these posters to advertise your YW events: New Beginnings, Young Women in Excellence, Girls Camp, Firesides and Youth Conference. The 8×10-inch size is perfect to have printed as photo at your favorite photo-processing retailer for a professional look. Or, print on card stock on your home printer’s highest-quality setting. You can customize these posters quickly and easily using Photoshop Elements, Word, Photoshop or other similar software. Check out this tutorial for adding text in Photoshop Elements. If you want to match my fonts (you certainly don’t have to), you can find them here: Aura Blue & Exquise FY. Each event poster comes in 8 different color versions so you can match your event decor. 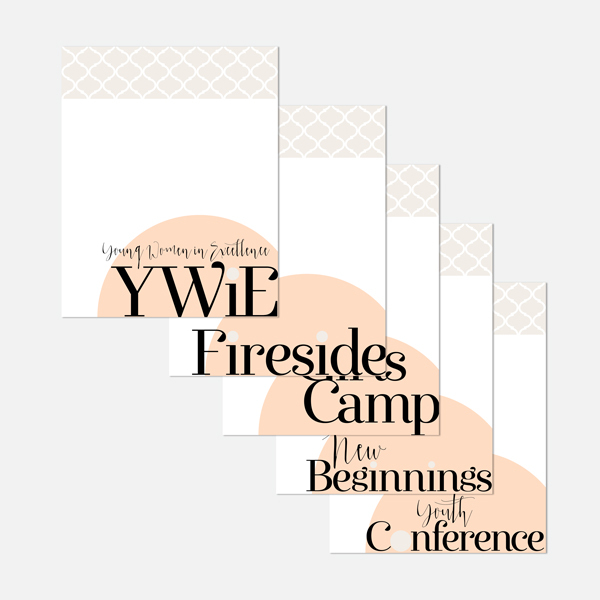 My download includes five different event posters (New Beginnings, YWIE, Girls Camp, Fireside and Youth Conference) in eight color versions (which match the YW Value colors). 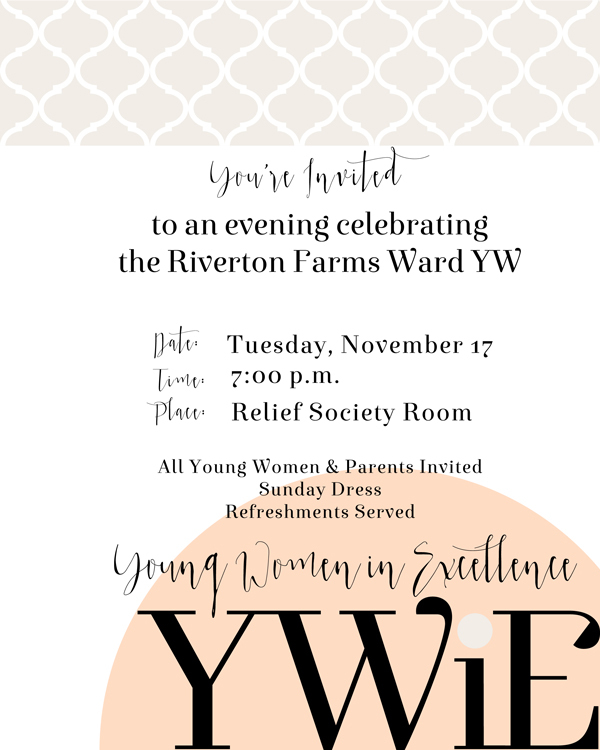 You can download my YW Values Now Collection 8×10-inch Event Posters here.